Vanishing Acts is a series of collages comprising interventions upon the scanned pages of an 1897 Victorian book on magic, which sets out to explain the secrets of magic tricks, stage illusions and “scientific diversions including trick photography” that were a form of popular entertainment of the time. 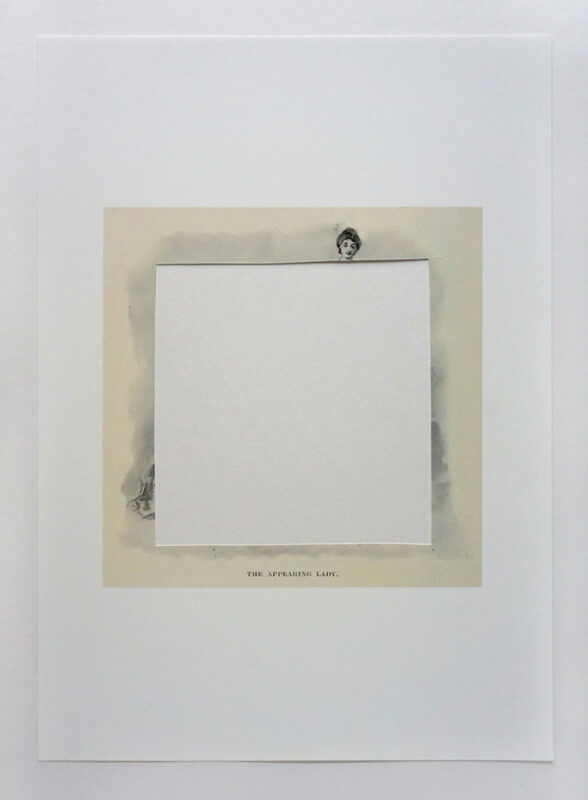 The work focuses on the captions appearing underneath the illustrations and diagrams in the book, saying things such as, “The Disappearance Explained” or “The Illusion Explained”, and making an explicit attempt to expose how a particular magic trick is performed. 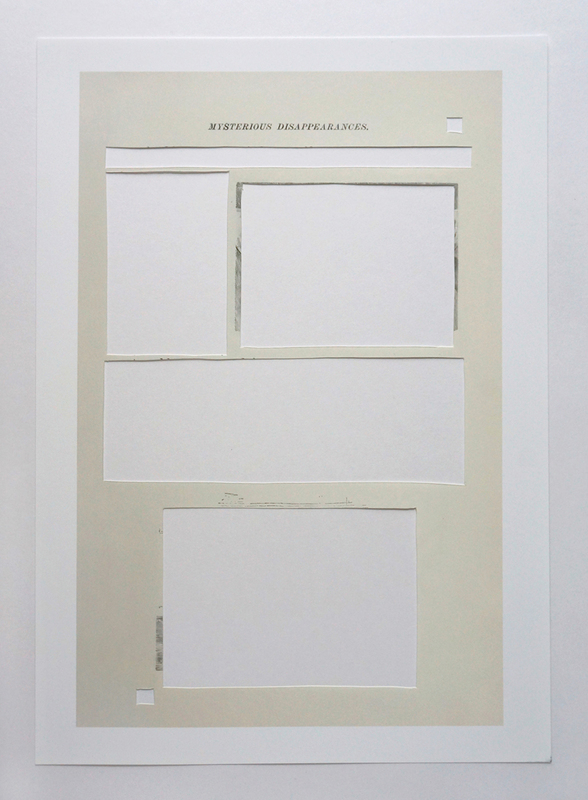 My series approaches these descriptions almost as instructions for the kinds of interventions to be enacted upon the images. 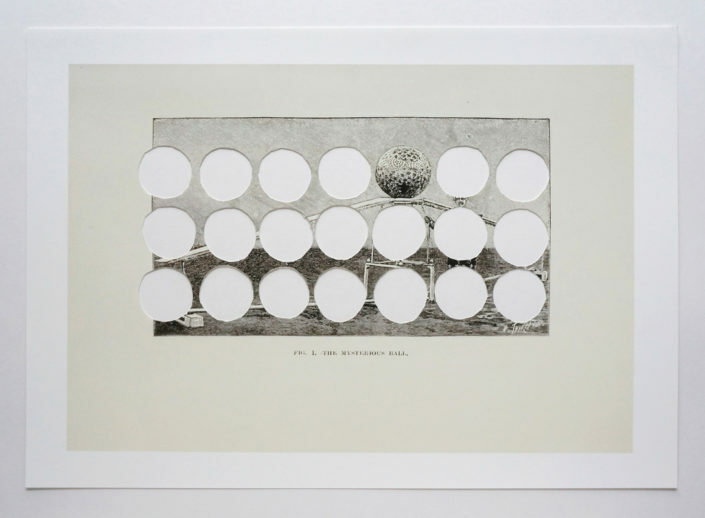 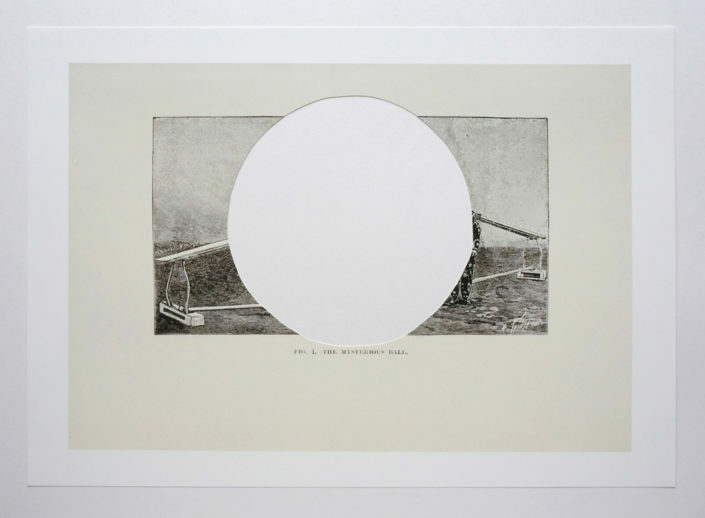 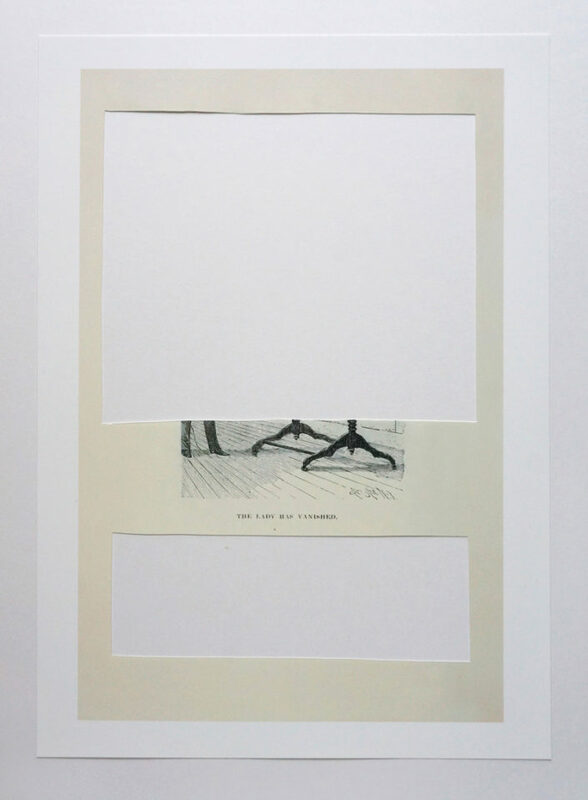 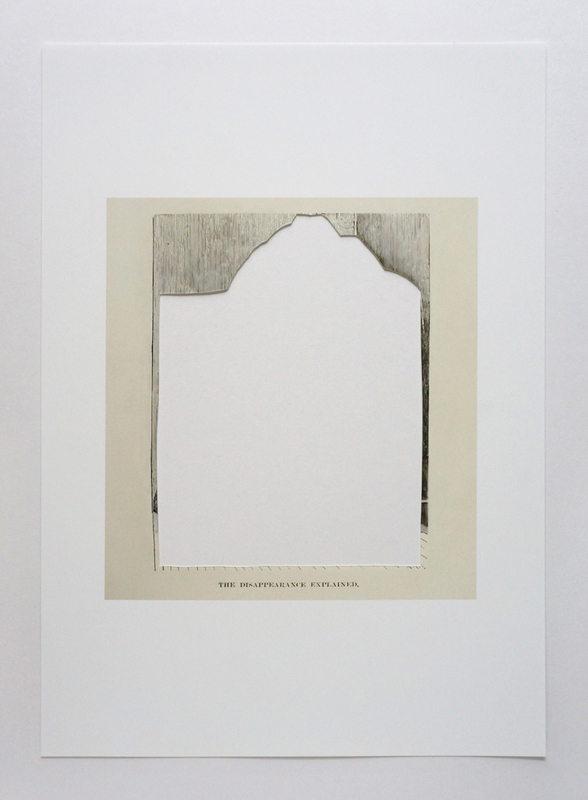 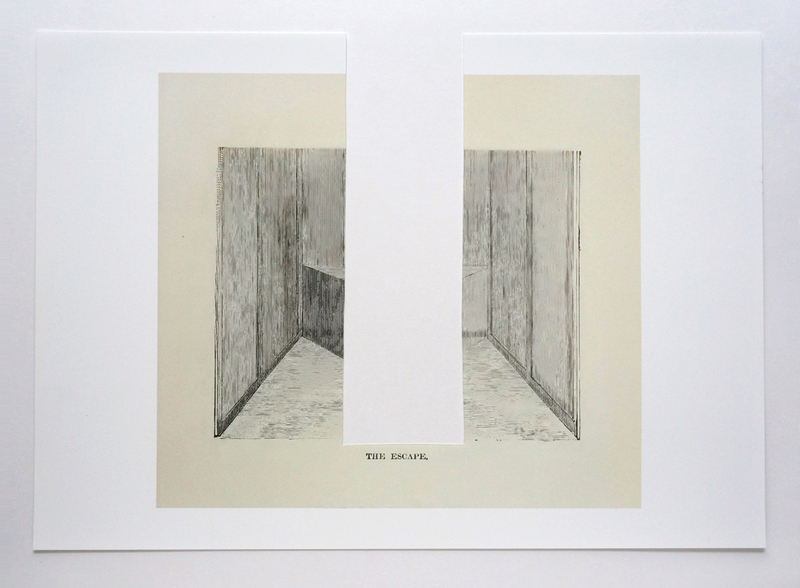 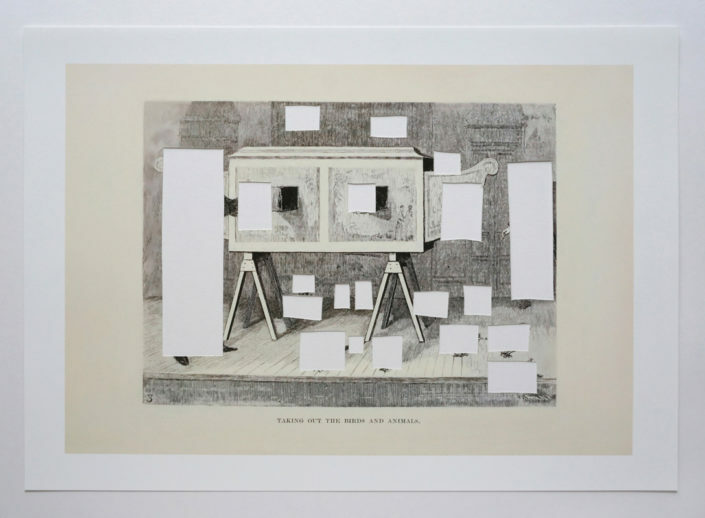 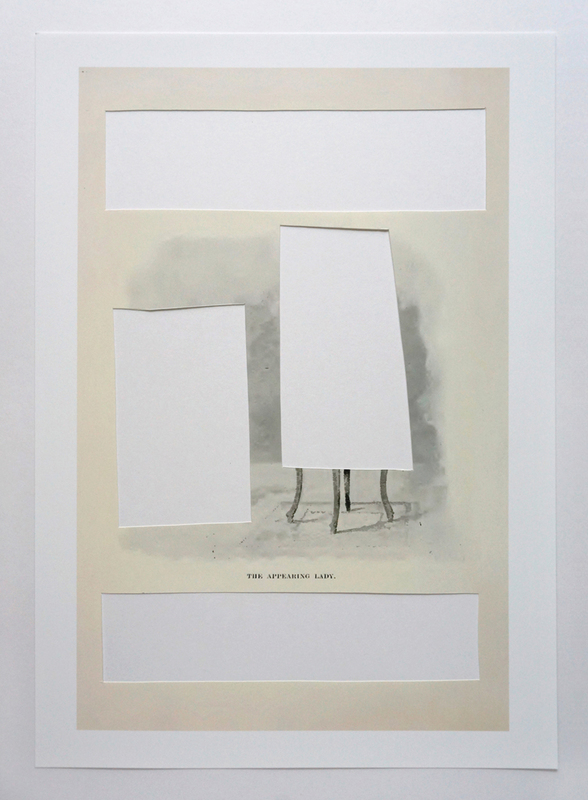 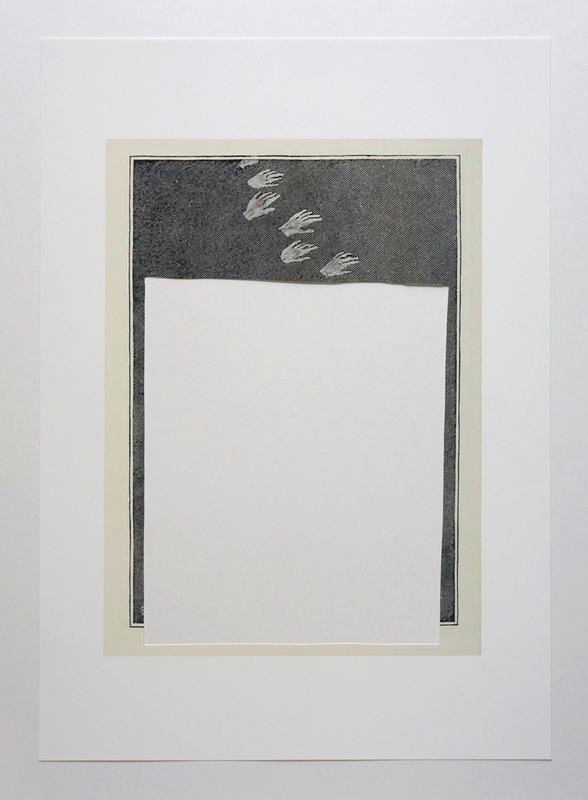 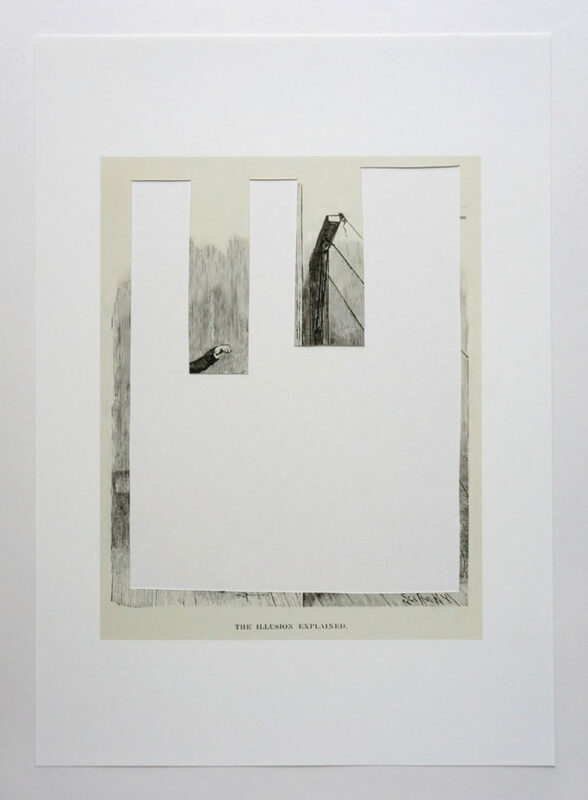 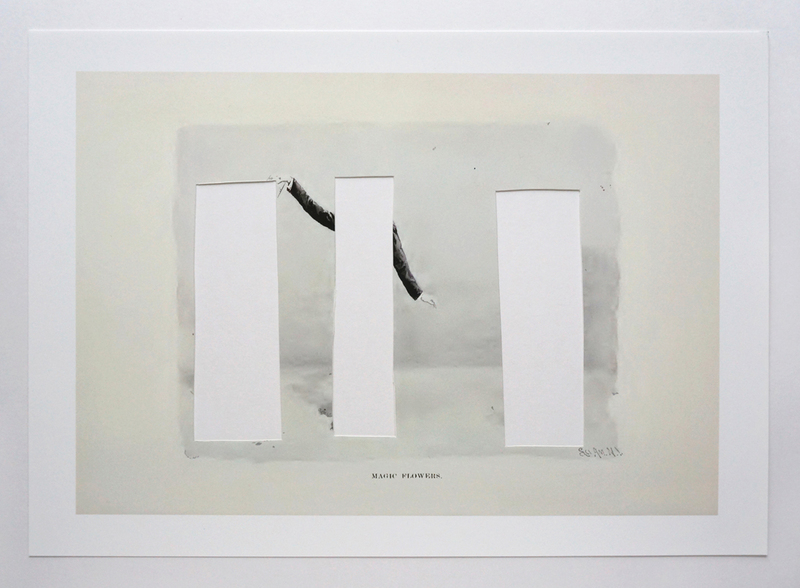 Using gestures of cutting out, excavating and removing large areas of the image, and sometimes text, the book’s pages are left with large gaps and holes, which become a playful and humorous realization of what the captions say – as if the act of cutting out the images demonstrates in a very literal way these elusive processes of disappearance, vanishing and escape featured in the book.